Welcome to another year of the Magic: The Gathering Online Championship Series! The Magic Online Championship Series (MOCS) is a series of tournaments run on Magic Online leading to the highest level of competition: the Mythic Championship and the Magic Online Championships. Players can earn MOCS Qualifier Points (QPs) from competitive events. Those QPs are used to enter MOCS Preliminary events (MOCS Prelims), which qualify players for the MOCS Playoff events. MOCS Playoff events lead directly to the Championship. Players can play in MOCS Open events, which lead directly to the Championship. Players can compete in the new format-specific tournament series, earning Format Points to join Format Playoff events. Format Playoff Events (held each quarter) qualify players for the Format Championship, the winner of which is invited to the Magic Online Championship. Players can qualify based on consistent performance in MOCS Playoff and MOCS Open events, earning Leaderboard Points to raise their standing on the MOCS Leaderboard. The start of the MOCS journey begins by earning MOCS Qualifier Points (QPs). MOCS QPs come from several different sources, as shown on the table below. Generally speaking, competitive events will award QPs to those who finish well. As always, prize details for a specific event can be found in the client using the "View Prizes" button in the Event Details window.Events not listed on this chart do not offer QPs. Because QPs are specific to each year, all QPs for 2018 will be removed after the final MOCS Preliminary event of that year. QPs earned after that point will be treated as 2019 QPs. Players at who have reached a Silver or higher level of the Pro Player Club will receive MOCS QPs each month based on their level. These points will be granted on the third Wednesday of each month. Silver members of the Pro Club will be awarded 15 MOCS QPs each month. Gold and Platinum members of the Pro Club will be awarded 35 MOCS QPs each month. Members of the Mythic Championship Hall of Fame will be awarded 35 MOCS QPs every month, regardless of their level in the Pro Club. After collecting 35 or more QPs, the next step is to join a MOCS Preliminary event (MOCS Prelims), formerly known as a MOCS Monthly event. There are usually two MOCS Prelims per month, and each of them feeds a specific MOCS Playoff event. MOCS Prelims can be Phantom Sealed (generally using the current set), Modern, or Standard. MOCS Prelims require 35 Qualifier Points to enter. MOCS Prelims can have up to 672 players. Constructed MOCS Preliminary events require a legal deck in that format upon time of entry into the event. All Limited MOCS Preliminary events are phantom. Cards in phantom events are not added to players' collections. The events are eight rounds of Swiss. Each round will be 50 minutes. Prizes will be awarded to any player with 6 or more match wins as follows. All booster packs and full sets awarded are of the most recent Standard-legal set. After going 6-2 or better in a MOCS Preliminary, winning a MOCS Playoff event is the last step before reaching the Magic Online Championship. Each Preliminary qualifies players for a specific Playoff event, so players who do well in MOCS Prelims can find the date of that event on the calendar below. The winner of a Playoff event is invited to the Magic Online Championships, held in person in the Seattle area (details below). The winner and 2nd-place finisher are each invited to the Mythic Championship; which specific Mythic Championship is listed on the full MOCS event calendar. MOCS Playoff events are invite-only events. Only players who qualified via a MOCS Preliminary event can play. All MOCS Playoff events are Constructed. All you need to enter is a deck and an invitation. Invitation confirmation will be sent to the email address associated with the qualifying Magic Online account approximately ten days before the event. MOCS Playoff events are all run with Swiss pairings, with the number of rounds based on attendance, followed by a cut to the single-elimination Top 8. Prizes are distributed as follows. All booster packs and full sets awarded are of the most recent Standard-legal set. An upcoming Mythic Championship event. For players outside the Top 8 who won all but two (or fewer) rounds, 6 Leaderboard Points will be awarded. For players outside the Top 8 who won all but three rounds, 3 Leaderboard Points will be awarded. The MOCS Playoff events are always Constructed, but that's just one route available. In addition to the path leading from QPs to MOCS Preliminary and MOCS Playoffs to the Championship, the MOCS Open events allow anyone to try their hand at earning an invitation to the Championship. Players don't need to earn points or another qualification to enter, and because these events are Sealed, players don't even need a deck. MOCS Open events are all Sealed events. These events are not phantom, and the contents of the packs opened will be added to participants' collections. MOCS Open events can have up to 672 players. Unless otherwise noted, players can enter with 40 Event Tickets or 400 Play Points. No other qualification is necessary. All MOCS Open events are run with Swiss pairings, followed by a cut to the Top 8. The Top 8 of a MOCS Open is a single-elimination draft of the same set. The product for this draft is provided by Magic Online. Prizes will consist of boosters and full sets of the most recent expansion. EXCEPTION: Opens held within 2 weeks of a new set's online release will instead award prizes of the new set (granted on the Monday following the start of events using that set). Players already invited to the Magic Online Championships are ineligible to enter MOCS Open events. Several of the tables above have referenced "Leaderboard Points." These offer another way to secure an invitation to the Championship at the end of the year through consistent success throughout the year, even without winning an event. Barring exceptional circumstances, at least seven players not already invited to the Championship will be invited from the Leaderboard. These invitations will begin at the top of the leaderboard and be sent to the top player not already qualified until the Magic Online Championship has a full 24 players. The Leaderboard invitations will be determined within one month of the final Format Championship. Players invited to the Magic Online Championship in this way will also receive an invite to a Mythic Championship event; the specific Mythic Championship is listed on the full MOCS event calendar below. The Leaderboard can be found at MTGO.com/leaderboard and is updated on the Wednesday after a weekend with a Preliminary, Playoff, or Open event. In May of 2017, Magic Online introduced the Format Challenges: weekly tournaments with exciting prizes in each of the major nonrotating formats: Modern, Legacy, Vintage, and Pauper. In 2019, these events will be more integrated with the Magic Online Championship Series. Players who want to specialize and master one of these nonrotating formats can earn specific Format Points (Pauper Points, Modern Points, etc.) that can be used to join quarterly Format Playoff tournaments. Those in turn will feed into a single 32-player Format Championship that awards an invitation to both the Mythic Championship and the Magic Online Championship, and the title of 2019 Format Champion. Everything described here applies equally and separately to Vintage, Legacy, Modern, and Pauper: the Format Points, Format Playoffs, Format Championship, and the Format Champion. Here's how that all will work: While the Format Challenges in the past awarded MOCS QPs, they will now award both MOCS QPs and Format Points (FPs). These FPs are new digital objects that will appear in your collection and stick around for the whole year. They're also the entry option needed to join the Format Playoff events. Format Playoff events are the culmination of months of competition in each of the four major nonrotating formats. These events allow players to compete with other Format Challenge veterans in an exclusive tournament with prizes above and beyond what a normal Format Challenge offers. Format Playoffs will require a Constructed-legal deck and 35 Format Points for the event's format. There are no other entry requirements. Format Playoff can have up to 384 players. All Format Playoffs will be run with Swiss pairing, with a number of rounds based on attendance. Following the Swiss rounds, there will be a cut to the Top 8. Each round will be 50 minutes long. Players who have previously earned an invitation to the Format Championship will be eligible to play in these events but will not be able to earn another invitation to the same Championship. If an ineligible player would win an invite to the Format Championship, the invite (and no other prizes) will pass down to the next qualified player in that event. Players may freely qualify for different Format Championships. Each Format Championship is a distinct 32-player event, representing the very top of that format's play. Each player who reached the Top 8 in one of the Format Playoff events is eligible to play in the tournament that will define the champion of the format itself. Each Format Championship requires a Constructed-legal deck of that format. Only players invited to the Format Championship can participate. Format Championships are five rounds of Swiss pairings, followed by a cut to the Top 8. All booster packs and full sets awarded are of the most recent Standard-legal set. Each participant will receive an exclusive untradeable avatar of a popular card in their format. These will only be available to players through these events. If an ineligible player would win an invite to the Magic Online Championship from a Format Championship, the invitation to the Magic Online Championship will pass down to the top player eligible to receive an invitation. This applies only to the invitation; no other prizes pass down in this manner. If an eligible player receives an invitation to the Magic Online Championship (whether passed down or not) and later chooses not to attend, the invitation will not pass down. The invitation will be awarded to the next eligible player from the MOCS Leaderboard instead. The most prestigious Magic Online event every year, the Championship is a tournament held in person in the Seattle, Washington, USA area at a time and place to be announced in early 2020. The top 24 players battle it out over several days of competition to claim the trophy, the title of Magic Online Champion, and their share of $250,000. The winners of each of the four Format Championships. 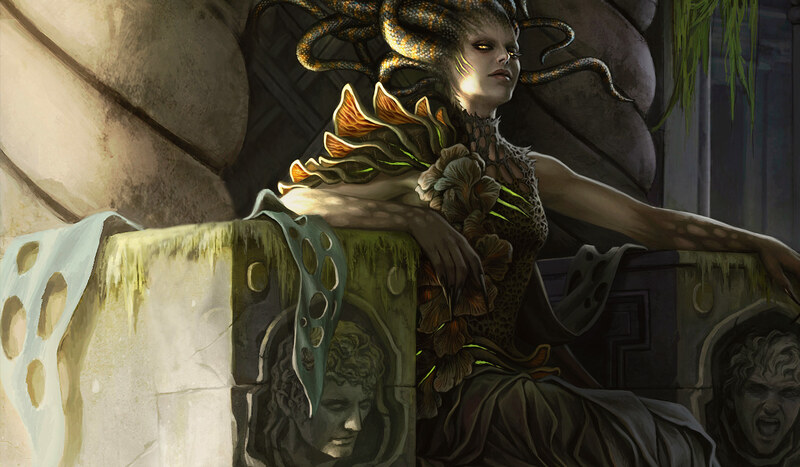 The remaining participants are invited from the top of the MOCS Leaderboard, described above. After removing the names of players who become ineligible or otherwise cannot attend, players will be invited from the top of the MOCS Leaderboard until 24 different players are invited. These Leaderboard invitees will receive an invitation to the Mythic Championship alongside their invitation to the Magic Online Championship. The specific format or formats used for the event will be announced at least one month prior to the event. Participation in the Magic Online Championship is contingent on signing a waiver and consent form. These forms can be downloaded beforehand or signed on-site, though bringing signed forms is appreciated as it speeds up registration. If a minor is invited to the Magic Online Championship, a parent or guardian must fill out those forms before the invitee can be allowed to register or play. No exceptions will be made. Birth certificate (copies accepted) and photo ID (school IDs accepted). Wizards of the Coast reserves the right to modify, reschedule, and/or delete any tournament for any reason, including without limitation, if in its sole judgment, that tournament's integrity has been compromised by an unforeseen technical issue and/or error in that tournament's administration. For all events that require an invite, Qualifier Points, or Format Points to enter: if a player believes they should be able to enter the event and cannot, it is their responsibility to contact Game Support before the event begins. Once the event begins, players cannot be added to the event. Players who have already earned a Mythic Championship invitation via a MCQ, MOCS Open, MOCS Playoff, Format Championship, or qualifying event are no longer eligible to participate in qualifying events that lead to the same Mythic Championship. This includes both in-person events and Magic Online events. Players who have already earned a Mythic Championship invitation can't win another to the same Mythic Championship. If a player with an invitation to a Mythic Championship finishes in the Top 2 of a MOCS Playoff that feeds the same Mythic Championship, for example, the second invitation has no effect. It will not be "passed down" or result in an invitation to a subsequent Mythic Championship. Players who experience issues during a premier play event should contact a Digital Event Coordinator (DEC) in the appropriate chat room. For MOCS events, that will typically be #MOCS. They're there to solve problems that may arise. Wizards of the Coast is not responsible for the results of any disconnection or network problems experienced by players. Please refer to these guidelines for more information on stability and connection issues in MTGO premier play. Participation in all premier play events is contingent on having a Magic Online account in good standing. Players suspended from participation in Magic Online that are found to be participating in premier play on another account will be ineligible for any prize and subject to additional action. Players in all Magic Online events are required to follow the End User License Agreement, as well as the Bribery, Splitting, and Collusion policies found here. Each MOCS Preliminary and Playoff event is marked with its quarter: Q1 through Q4. Each Preliminary event feeds into the Playoff of the same quarter. All formats are listed through the end of March. As the year progresses, more event formats will be added. These additions will be announced in the weekly announcements. This calendar can also be found here. All times listed on this table are in Pacific Time. Times marked with an asterisk (*) are UTC-8, all others are UTC-7. Events named in bold qualify players for the Magic Online Championship. All prizes are awarded "as is" and without warranty of any kind, expressed or implied, (including, without limitation, any implied warranty of merchantability or fitness for a particular purpose). This is a contest of skill and, therefore, there are no odds of winning as is the case with a game of chance. All applicable taxes, fees, duties, tariffs, passport or visa costs, and any license, destination, entry, exit, and/or delivery charges are the sole responsibility of each player. Taxes on the prizes (including, without limitation, income taxes), if any, are the sole responsibility of the player winners. All Magic Online players who meet the eligibility requirements set forth herein are eligible to compete in this online tournament series. All Magic Online players are eligible to compete in the 2019 Magic Online Championship Series except (a) players who are otherwise ineligible to engage in tournament play pursuant to the Magic Online User Agreement and (b) employees or contractors of Wizards of the Coast LLC ("Wizards"), Hasbro, Inc. ("Hasbro"), or each of their respective subsidiaries or affiliates or their advertising or promotion agencies, or those who are domiciled with any such person, or those who have been disqualified for other reasons (see below). This is a skill-based tournament based on a player's ability to defeat other players. Although players may have multiple accounts qualified for a Preliminary Event or a Playoff Event, players are not permitted to have more than one of their accounts entered in any single event at one time. Players are not permitted to have any accounts entered in events played by other players for any reason. If a player is discovered to have more than one account playing in a Preliminary Event, Playoff Event, Open Event, or Format Event before, during, or after the event, Wizards may take action against that player's account(s), up to and including disqualification with no refund of product and/or event tickets, suspension of the offending account(s), and/or termination of the offending account(s). Using an account other than your own, allowing any other player to use your account, selling your account, and other similar actions are all violations of the Magic Online User Agreement. If you play in Magic Online tournaments, win, and expect to get your prize, be very, very sure you are playing on your own account. We do not recognize excuses, such as "I and a friend jointly own the account," "It's my brother's account but he gave it to me," or similar. The only exception is an adult may authorize a single dependent child age thirteen to eighteen to play on an account that the adult has established. Release: By entering (or consenting to the entry of a person under the age of eighteen) the 2019 Magic Online Championship Series, each participant (or the participant's parent or legal guardian, if the participant is under the age of eighteen) and the winner (or the winner's parent or legal guardian, if the winner is under the age of eighteen) thereby release Wizards, Hasbro, and each of their respective parent companies, subsidiaries, affiliates, directors, officers, employees, and agencies from any liability whatsoever and waive any and all causes of action related to any claims, costs, injuries, losses, or damages of any kind arising out of or in connection with the 2019 Magic Online Championship Series or delivery, misdelivery, acceptance, possession, or use of or inability to use any prize (including, without limitation to, claims, costs, injuries, losses, and damages related to personal injuries, death, damage to or destruction of property, rights of publicity or privacy, defamation, or portrayal in a false light, whether intentional or unintentional), whether under a theory of contract, tort (including negligence), warranty, or other theory. Except where prohibited, you agree that any and all disputes, claims, and causes of action arising out of or connected with this contest or any prize awarded shall be resolved under the laws of the State of Washington, without respect to any conflict of law issues, and participants agree that such shall be resolved properly, without resort to any form of class action, and exclusively by the US Federal and State Courts of King County, Washington, USA. All of Sponsor's decisions regarding the application and interpretation of the Rules are final. Wizards, Hasbro, and each of their respective parent companies, subsidiaries, affiliates, directors, officers, professional advisors, employees, and agencies will not be responsible for: (a) any late, lost, misrouted, garbled, distorted, or damaged transmissions or entries; (b) telephone, electronic, hardware, software, network, Internet, or other computer- or communications-related malfunctions or failures; (c) any event disruptions, losses, or damages caused by events beyond the control of Sponsors; or (d) any printing or typographical errors in any materials associated with the 2019 Magic Online Championship Series. Wizards of the Coast reserves the right to modify, reschedule, and/or delete any tournament for any reason, including without limitation, if in its sole judgment that tournament's integrity has been compromised by an unforeseen technical issue and/or error in that tournament's administration. Participation in 2019 Magic Online Championship Series is void where restricted, taxed, or prohibited by law.